SPECIAL GIFT: Even in a difficult economy, people are still buying jewelry. 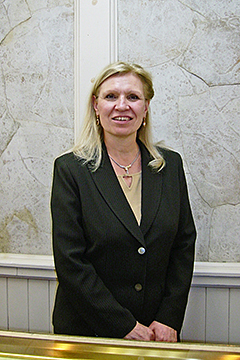 There are still birthdays, anniversaries, and other special occasions, and people really want to commemorate important moments and give their loved ones a special gift. Monica Walker, sales floor manager and assistant store manager at Forest Jewelers, is wearing one of Forests special pieces: a 14k yellow and white gold necklace with diamond drop. A gift of fine jewelry is timeless, an unmatched expression of love and affection. A diamond bracelet, an emerald ring, a gold bracelet, a strand of pearls  to be worn and appreciated today, but then to be passed down to another generation, extending the enjoyment over time. HEALTHY & HOLSOME: Everything we have is popular now. The health benefits of tea and also Chinese herbal remedies are gaining more recognition. We want to introduce even more people to our quality products, including the all-natural herbal remedies. Paul Shu, owner of Holsome Teas, Herbs & Holistic Center on Witherspoon Street, is pleased to help his customers benefit from a healthier way of life. 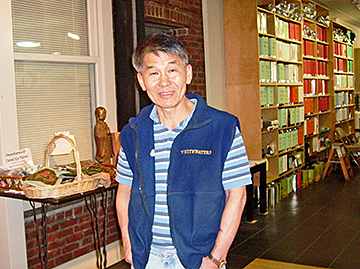 When Paul Shu opened his shop in 1996, the focus was on teas and herbal supplements and remedies. That is still true, but in addition, there is now a variety of classes, from yoga to martial arts, as well as an art gallery.